Learn today: 1) how to exploit the power of social network Reddit to drive traffic to your website, 2) how to use competitive intelligence tool Follow with your team, 3) how to structure a sales page in order to increase conversions, and 4) a few strategies to help you handle customer objections. Funny Quote of the Day: To Make You Smile! 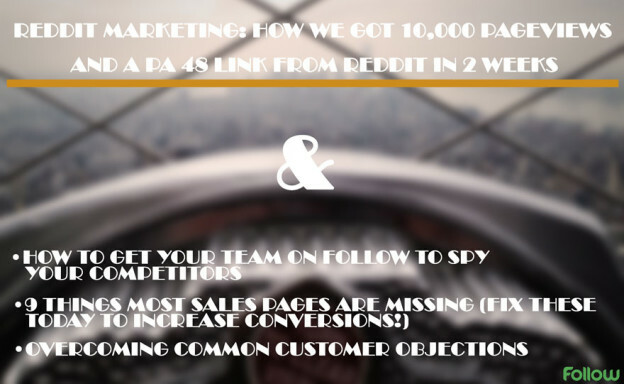 Reddit Marketing: How We Got 10,000 Pageviews and a PA 48 Link from Reddit in 2 Weeks – This enticing blog post shows how to use social network Reddit to drive traffic to your website. Although this isn’t as easy as it may sound, the strategies you are about to discover will help you with: 1) make traffic-driving efforts more efficient, 2) get big numbers in terms of traffic, and 3) acquire quality backlinks. How to Get Your Team on Follow to Spy Your Competitors – Follow is a great web-based tool for individuals, but also for teams and organizations. With our platform, we make it possible for anyone to add team members to specific portfolios of websites. Take a look at how to do that, and how that can be a useful feature if you use Follow to monitor your online competitors along with other work colleagues. 9 Things Most Sales Pages Are Missing (fix these today to increase conversions!) – The different case studies and tactics outlined in this interesting post will give you a good idea of how a sales page should be structured. There are many elements that a page should have in order to increase conversion rates. Overcoming Common Customer Objections – One of the many ways to get new customers is by learning how to handle customer objections, which prevent new leads to give your service a try. Click above and learn how to handle objections such as “I really can’t decide if you’re a good fit… ,” “I don’t have time to sign up now. I’ll be back in a few months,” “We don’t think your product will be able to handle our [volume needs],” and more. 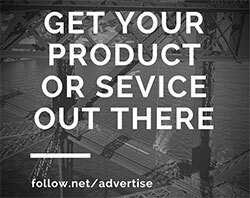 This entry was posted in Customer Acquisition Strategies and tagged competitive intelligence, customer objections, drive traffic, increase conversions, Reddit, sales, sales page, social network, traffic, website on January 14, 2015 by Davide Di Prossimo.